Lenders of Jet Airways are likely to take management control of the airline by superseding the current board, it is learnt. A consortium of lenders, led by State Bank of India (SBI), would operate the airline managed by a professional board, a source in the know said. The move follows Etihad’s refusal to infuse additional funds in Jet under the current terms of the bank-led resolution plan. The lenders will sell their stake in Jet at an appropriate time. According to the revised plan, promoter Naresh Goyal, his wife Anita Goyal and the directors nominated by the promoter would be asked to step down from the board, sources in the know said. The promoter-appointed directors include Nasim Zaidi and Gaurang Shetty, who’s also an executive at the airline. The lenders, as part of the resolution process will infuse around Rs 1,200 crore into the airline as emergency funding. 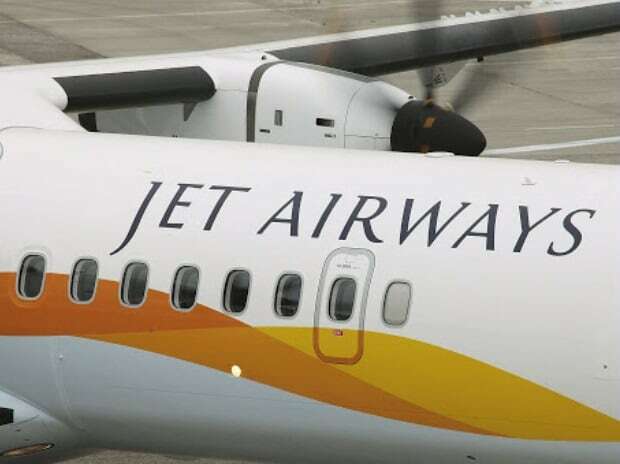 State-owned banks including State Bank of India and Punjab National Bank are the main lenders to Jet, which is now operating only one-third of its fleet of planes as the rest have been grounded due to non-payment to lessors. “It’s unfortunate that both the owners have not been able to reach a consensus. But banks have decided that the company will not be allowed to fail and will take control of the airline,” said a senior banker leading the resolution process. A resolution is expected before the end of this month. According to the plan, the airline will issue additional 114 million equity shares. After the restructuring, the lenders’ consortium led by the SBI, along with national sovereign fund National Infrastructure Investment Fund (NIIF) will hold around 51 per cent stake in the airline. The lenders had to redraw the resolution plan after Etihad Airways CEO Tony Douglas refused to agree on the contours of the deal. Etihad, which holds 24 per cent in Jet, informed the lenders’ consortium that it would not participate in the rights issue or infuse fresh funds under the current terms and conditions of the resolution plan. However, bank executives maintained that talks are still on with Etihad as no ''conclusive'' decision to exit has been taken by the Abu Dhabi-headquartered airline. “There are multiple examples in the world where banks have taken over operations of the company and sold its stake to a suitor subsequently. We are definitely not going to run the company for a long time. This is a transitory holding,” a top banker said. It’s important to have a resolution process by end of this month because if there’s no agreement by April 1 (180 days from January 1), Jet Airways will have to be declared a Non-Performing Account (NPA). On January 1, Jet Airways had informed the stock exchanges that it had defaulted on debt repayment to its consortium of lenders. SBI chairman Rajnish Kumar, who met Union Finance Minister Arun Jaitley, along with senior officials including Nripendra Misra, principal secretary to the Prime Minister, on Wednesday, said taking Jet Airways to the insolvency court was not an option as it would lead to complete value erosion of the company. “There are Rs 4000 crore worth of creditors, nobody wants to take Jet Airways through the insolvency process,” said Kumar. The Insolvency and Bankruptcy Code (IBC), in case of service industry like an airline is the last option, according to Kumar. "Under IBC, the resolution of a service industry entity is nearly impossible and would mean we are grounding the airline. We will keep trying.... We have not reached a point where we can say enough is enough and nothing else can be done,” the SBI chairman said.